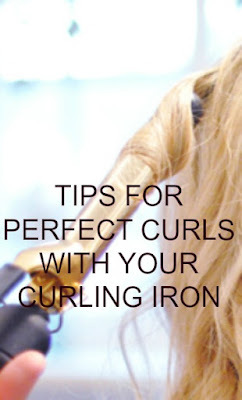 Here are some tips I like to use when trying to get perfect curls. Before you’ve plugged in your curling iron, prepping your hair correctly is one of the most important things to do when it comes to getting perfect curls. Combing out tangles beforehand will help the hair with even heat distribution. Keeping curls in longer. If you find that your hair has a hard time holding a curl, use a very light spritz on each section of hair before you curl it, as this will help to create longer lasting waves. Curling your hair away from your face will give you the most natural and beautiful looking curls. Wrapping your hair clockwise around the curling iron barrel on the right side of your head and counterclockwise on the left! To get the perfect curl, hair needs even distribution of heat throughout the section of hair. Use 1-2” sections of hair at a time for the best results. Varying the sizes of your sections is a great way to get a gorgeous, natural looking finish. 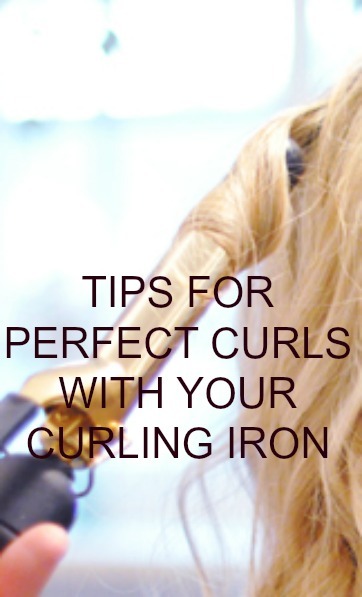 Holding your hair in the iron for too long is one of the most damaging when it comes to curling your hair. Turn the temperature to medium to low heat setting and only leave your hair in the clamp or around the wand for five to ten seconds. Curls need to cool down in order to hold a curl for long periods of time. Touching the hair too much is going to cause frizz and drooping curls. Make sure that you leave your curls to cool before touching, as this will allow them to set into position.